The Butterworths Hong Kong Anti-Money Laundering Handbook is a detailed work of reference on the Anti-Money Laundering and Counter-Terrorist Financing (Financial Institutions) Ordinance (Cap 615). This Handbook provides section-by-section annotations to the Ordinance. 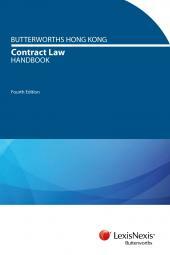 The annotations encompass significant judicial decisions and rules of court, as well as notes ranging from definitions of words and phrases to discussions on practical aspects and contentious issues relating to particular sections along with other authoritative materials. The annotations are fully cross-referenced, with comprehensive tables of cases, legislation and other sources referred to. 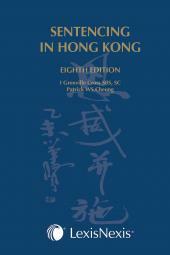 This series has been cited with authority in over one hundred court cases in the Hong Kong Court of First Instance, Court of Appeal and Court of Final Appeal. 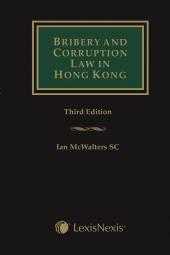 This Handbook will be an invaluable source of information for practitioners, academics, students and anyone engaged in or interested in the laws governing anti-money laundering in Hong Kong.